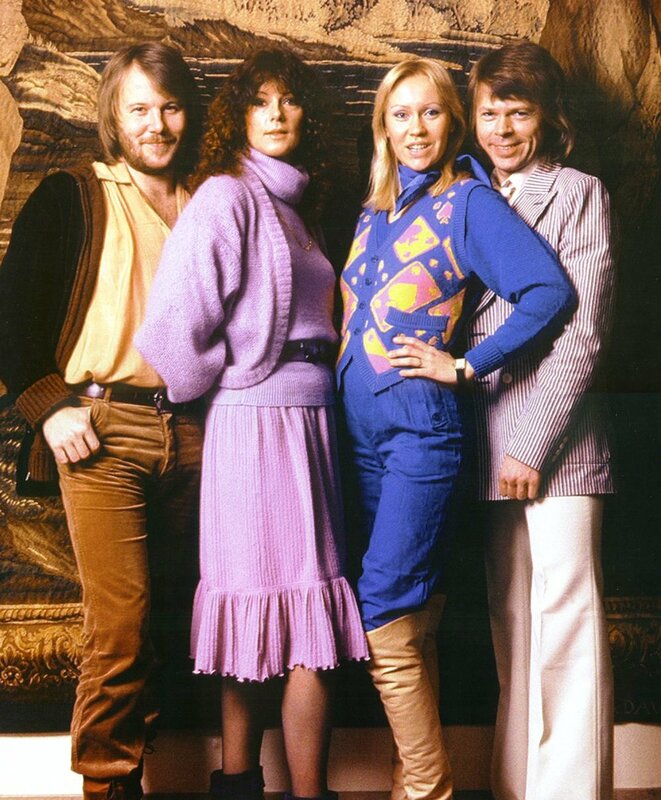 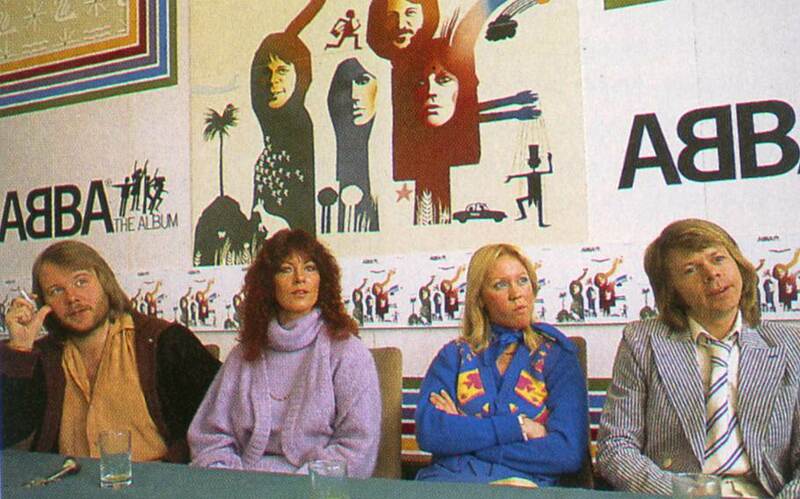 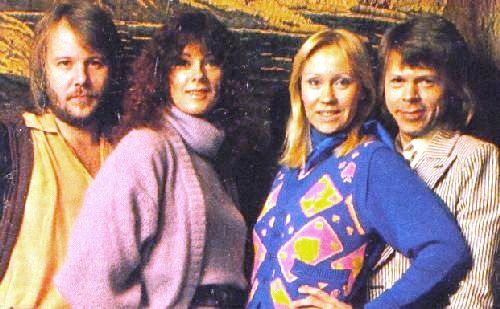 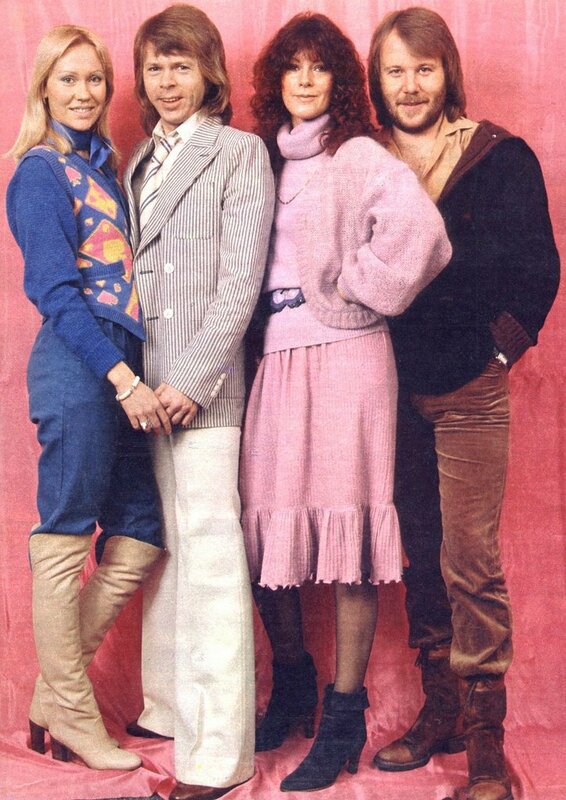 In February 1978 ABBA traveled to Germany to do some promotion for The Album and The Movie. The band gave interviews, did a pressconference (as seen in one pic), posed for many pictures and appeared on the popular show Am Laufenden Band. 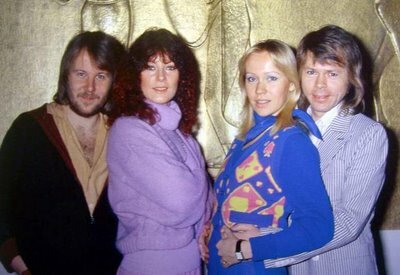 There Agnetha explained that her and Bjorn's 2 month old son Christian did already talk: 'ABBA ABBA ABBA'. The audience was delighted! 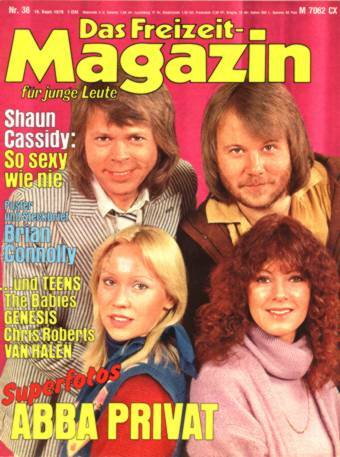 The pics here were taken for several magazines like the Dutch PopFoto. A pic also appeared on the cover of the German Das Freizeit Magazin (notice how Agnetha's blue sweater turned red).